I'm going to be making some of my little May Day books to give away. 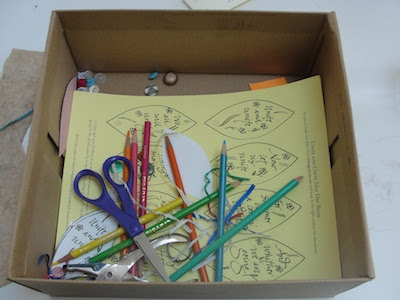 I've put the materials I need in a large shoe box so I can carry them easily and assemble the books anywhere in the house. May Day is Tuesday. If you want to make a book, check out this post which has directions and a pdf to print.